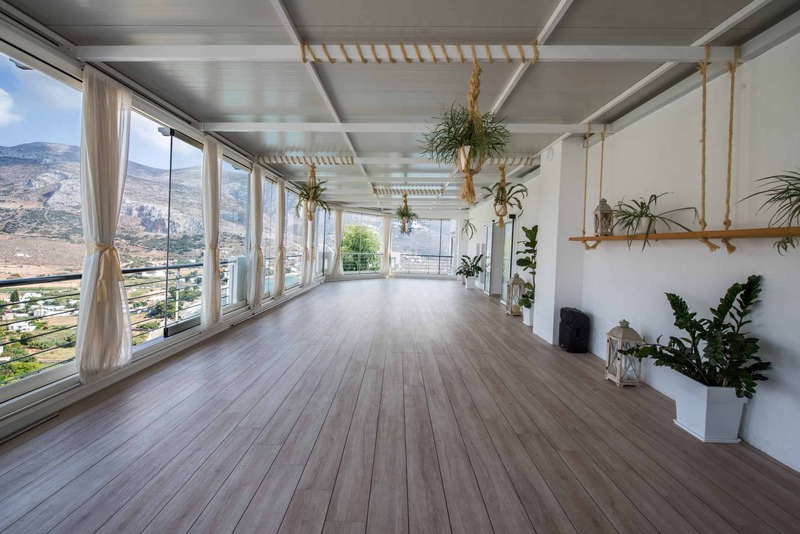 « Elysia » is one of the latest additions to our structure, an elegant space surrounded by glass windows which can be opened completely, connecting you with the fresh Amorgian breeze.  Elysia offers you a front row seat to the stunning views of the sea and mountains and the port of Aegiali. 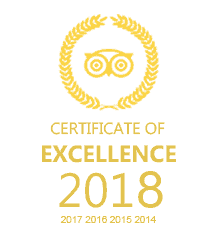 This shala has wooden floors and is fully equipped with an overhead projector and a music sound system for an impeccable professional experience. Inside, you will find a bar corner, for coffee, tea and beverages, and two toilets, for men and women. 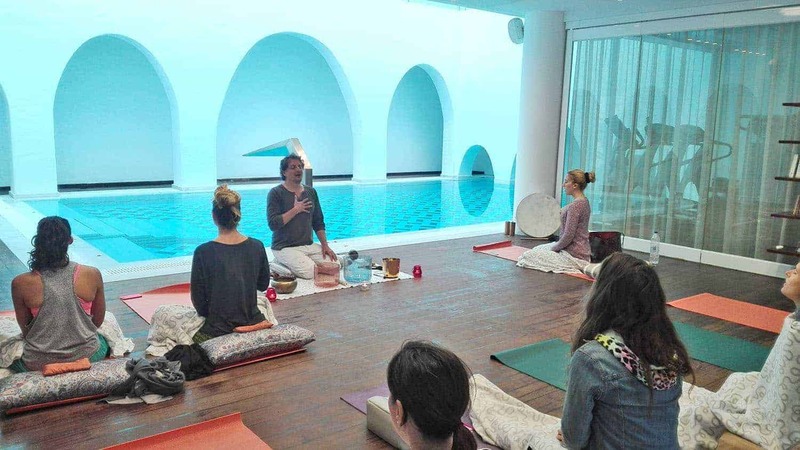 Located next to the indoor swimming pool and inside the gorgeous “Lalon Idor Thalasso Spa & Beauty Center”, the Nidra room offers a more intimate setting, perfect for yoga and meditation classes or other health and wellness practices. 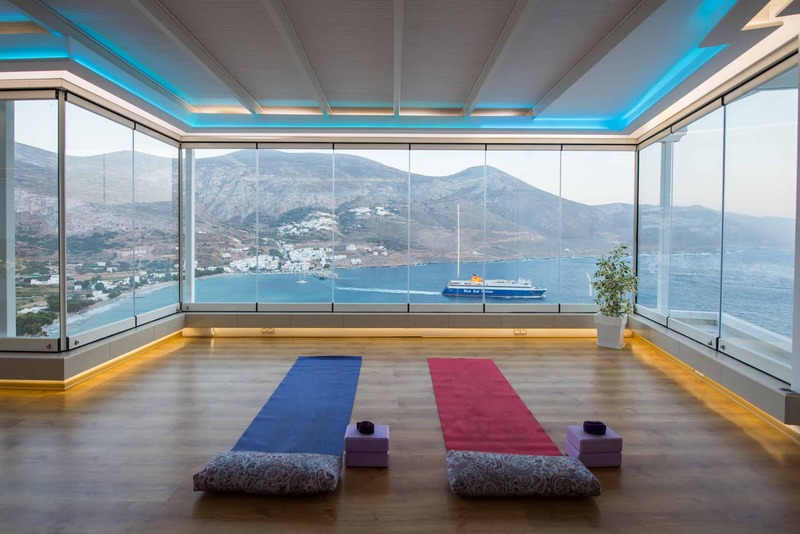 Tucked away from all the noise, the Nidra shala welcomes you to enjoy the quiet and serene energy of Amorgos. 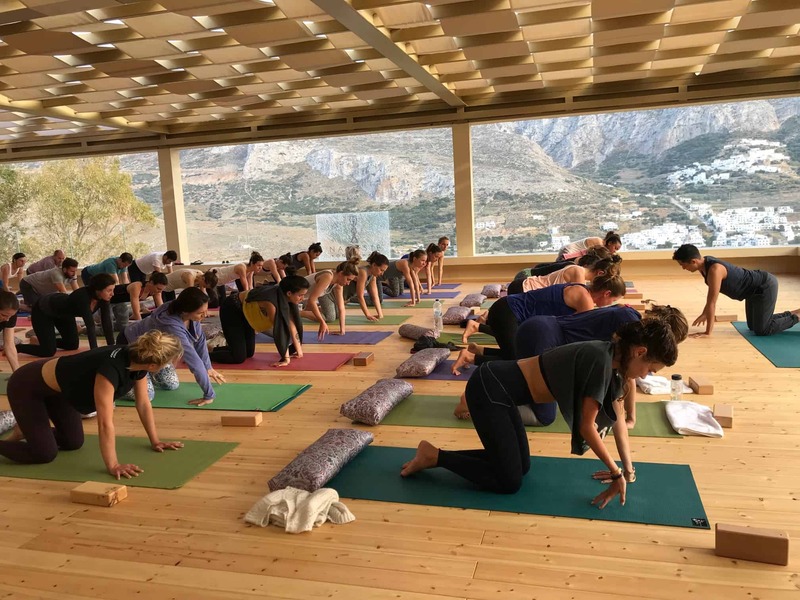 The word Nidra can be translated as “to be in a state of consciousness” and this shala offers a peaceful ambiance which creates a nice collective experience for groups. 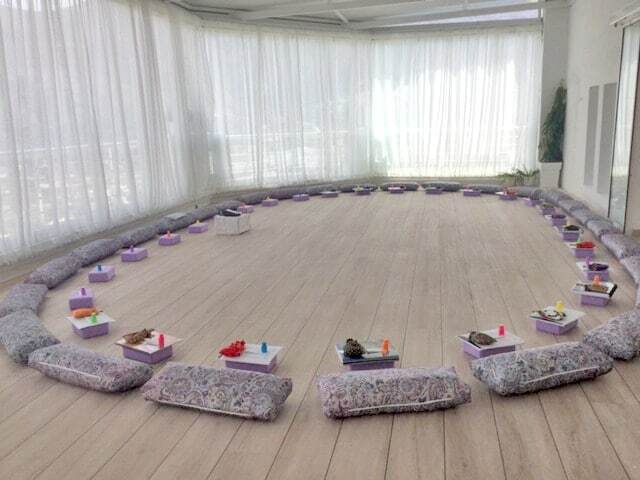 The Nidra room has a capacity of up to 20 people. Situated next to the “Lalon Idor Thalasso Spa & Beauty Center” and near to the gymnasium, the Prana shala welcomes up to 8 people. 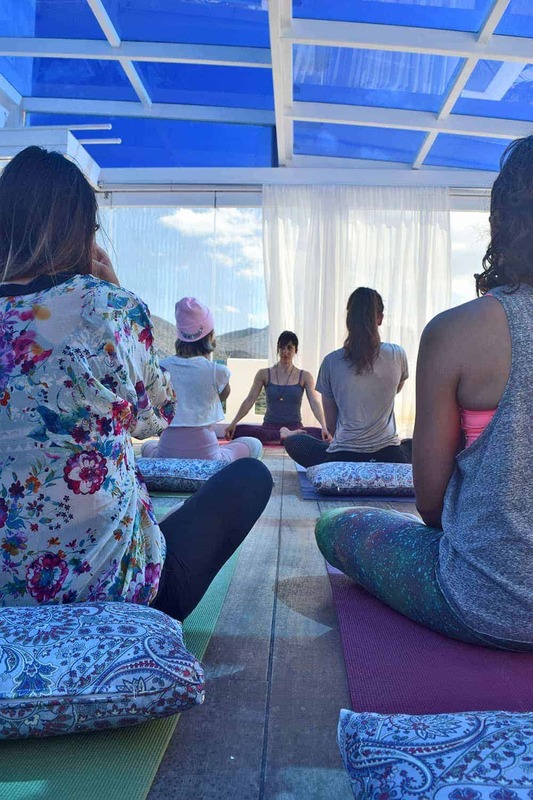 You can enjoy a more intimate setting here, perfect for smaller yoga and meditation groups. 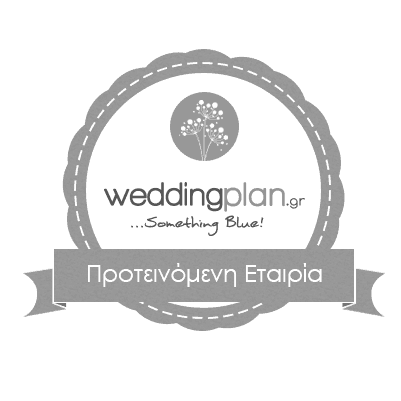 The shala comes with gorgeous views of the mountains and the sea and is situated in the quietest corner of the hotel. Prana means life force or vibratory power and we chose this name because the shala invokes an empowering and energising vibe. 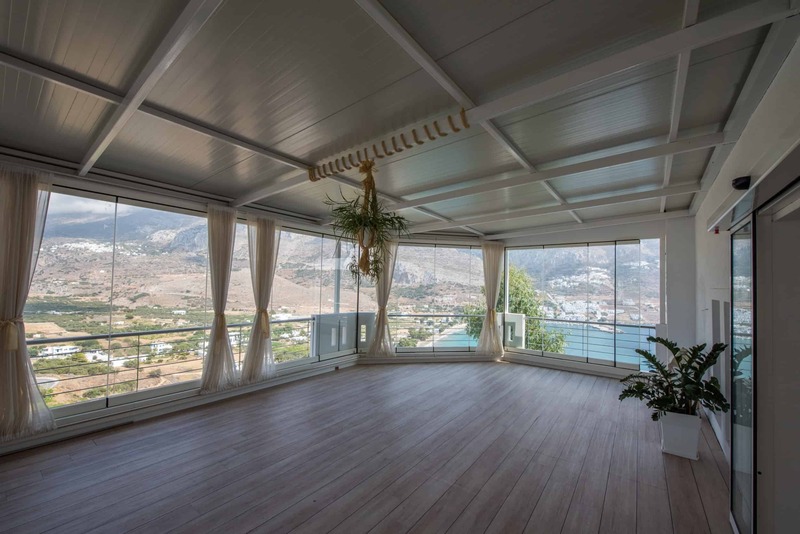 « Anatolia » is the newest adjunction to our structure, featuring wooden floors and glass windows all around, which can be completely open to the side so that you can enjoy the fresh breeze of our beautiful island and take in the gorgeous views. The Anatolia shala has a bright, vibrant energy to reflect the meaning of its name, sunrise. 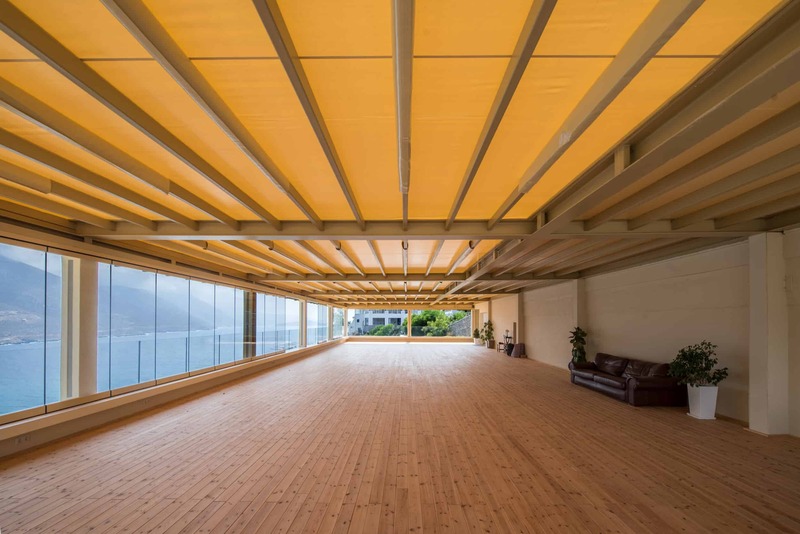 It is suited for wellness practices as well as dance retreats. 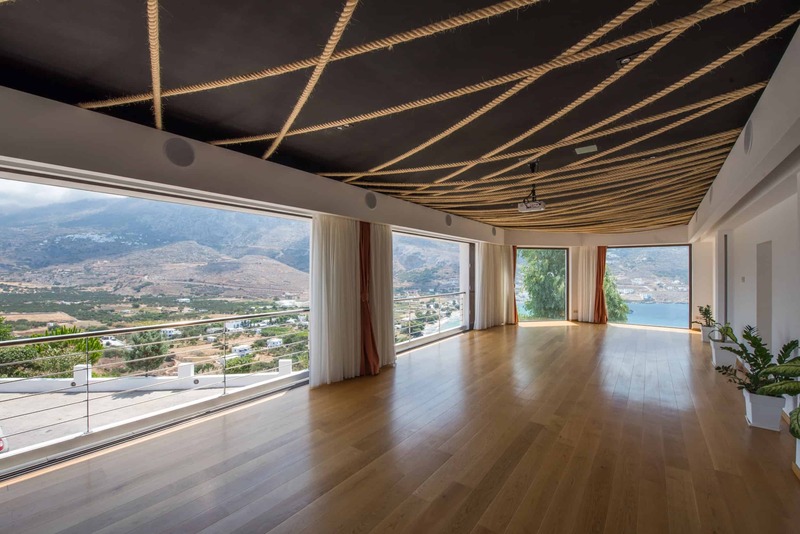 Anatolia can host up to 27 people and it is open all year around. 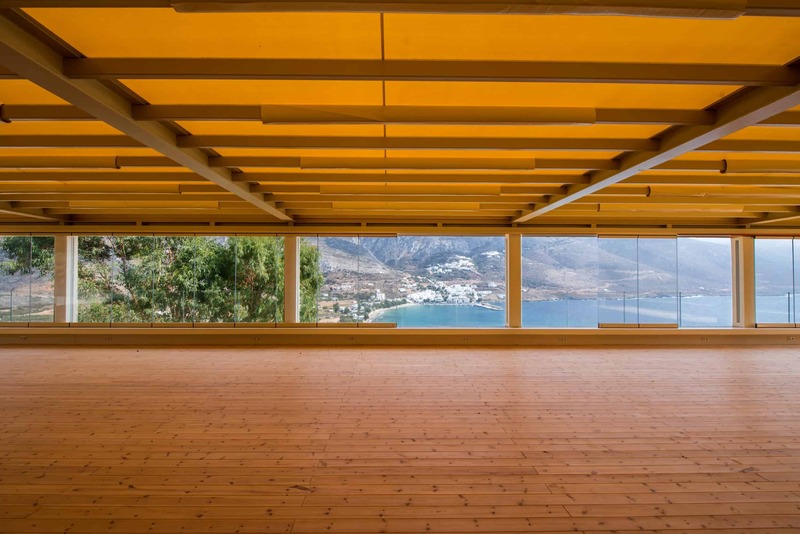 Connecting with the beautiful and wild nature of Amorgos, all the way from your yoga mat, the Namaste Yoga Shala is an impressive 175 square-meter-long shala which can comfortably fit 80 mats. 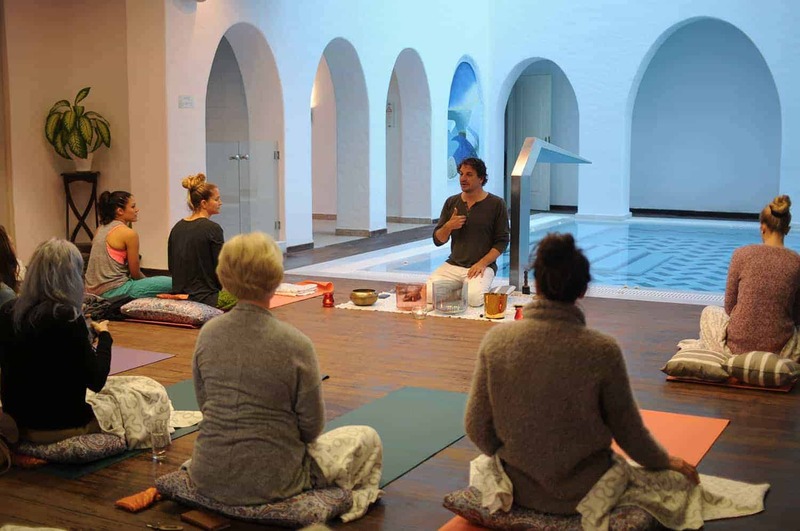 As a distinctive part of the “Lalon Idor Thalasso Spa & Beauty Center”, the Namaste shala was especially made for yoga and meditation, pilates classes, reiki retreats and dancing sessions. 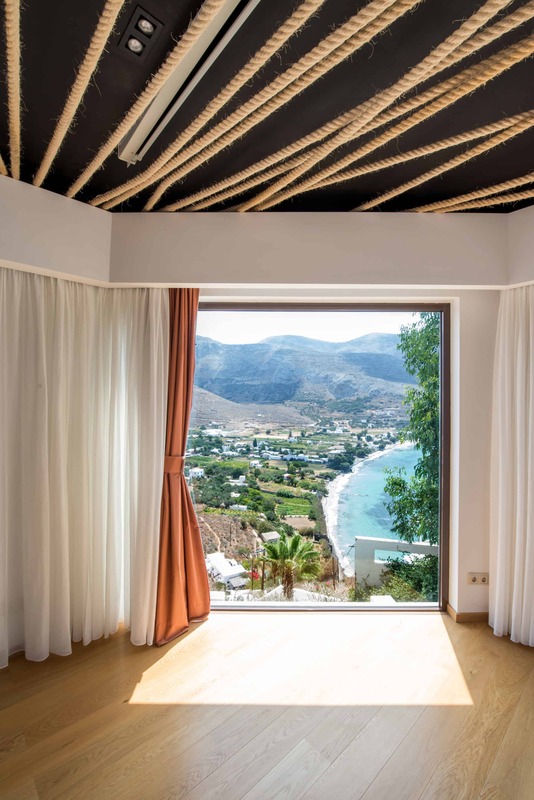 Surrounded by an open plan space and glass windows which can be removed to enjoy the breathtaking sea views and enjoying the fresh breeze of Amorgos. 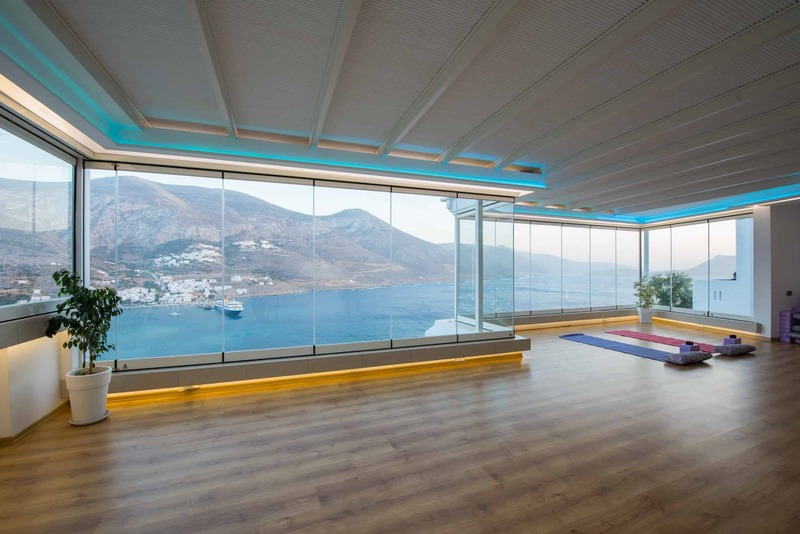 This shala offers a zen-like energy for health and wellness practices. Step into a place of complete blissfulness and peace, where you can simply relax and just be. 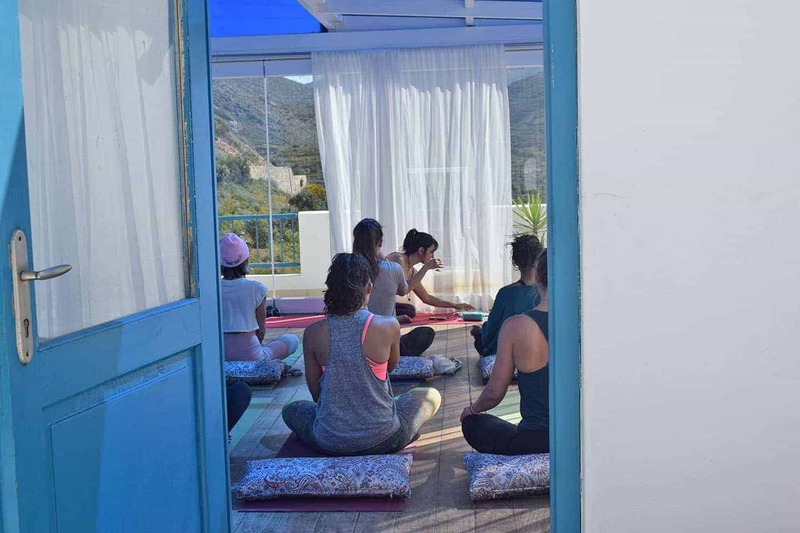 The Ananda shala offers a medium sized, open space with picturesque views of the sea and mountains, embracing all this natural beauty whilst you practice yoga and meditation. This shala has windows all around which can open completely, enjoying the fresh Amorgian air and nature’s scent. The name Ananda comes from Sanskrit and it means bliss. We chose this name to reflect the beautiful energy this room provides and the state of mind it invokes when in this room. 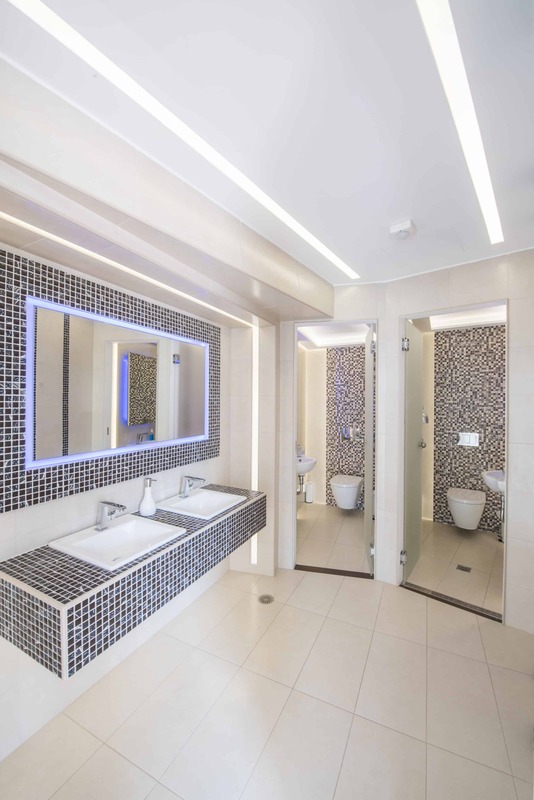 Ananda can host groups up to 12-15 people and it’s equipped with a music speaker system to which you can connect your phone or laptop to.